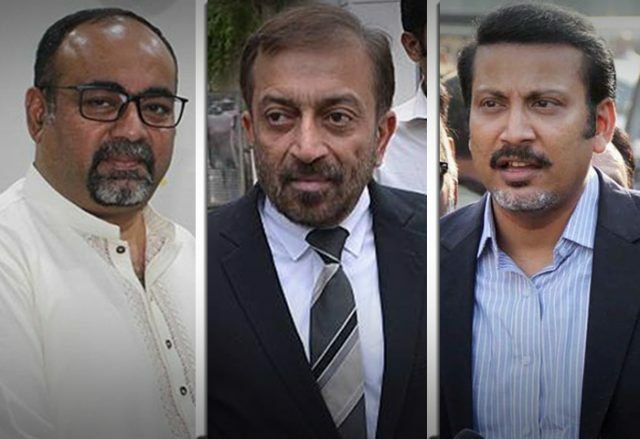 The MQM Pakistan MPAs have expressed concerns over withdrawal of their security. The policemen deployed for security of the MQM’s Sindh Assembly members have been directed to report back to DIG office. The MQM leaders claimed that the security was withdrawn after their protest in the house during budget session. “The move is aimed at restricting our movement ahead of elections,” alleged Faisal Sabzwari. IG Sindh A.D Khawaja said the security was withdrawn on Supreme Court’s orders. He said MQM-P leader Dr Farooq Sattar and the party’s opposition leader Khawaja Izhar-ul-Hassan still have the security. He said Pak Sarzameen Party chairman Mustafa Kamal, who is not an elected representative, also enjoys security protocol. The Sindh government has devised a new security policy for lawmakers. According to the new police, every cabinet minister will get a police mobile, eight police guards with five additional cops to be deployed at their residences. Every advisers to the Chief Minister will get two guards, while Chief Secretary and Home Secretary will be given a police mobile and five guards each. District Commissioners will be given one police vehicle and five guards each. Moreover, PPP leaders Sharjeel Memon, Imtiaz Sheikh, Javed Nagori and Sania Naz will also be given two guards each for their security. However, the security plan for opposition lawmakers is in the pipeline.